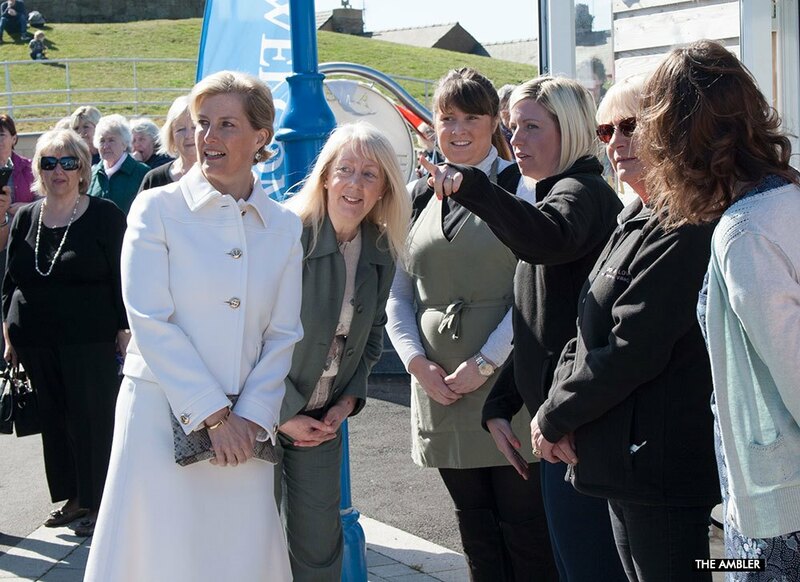 Wonderful weather encouraged many to turn out to watch the Countess of Wessex visiting the town. 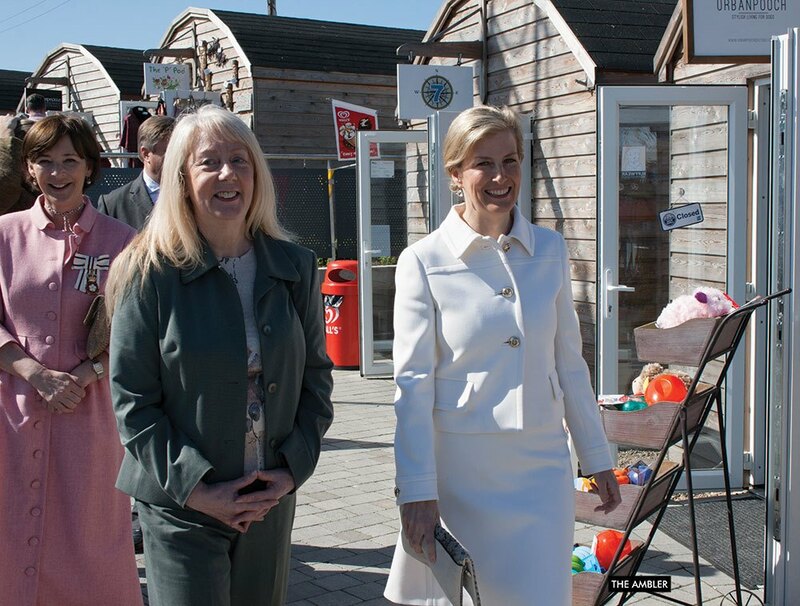 Accompanied by the Duchess of Northumberland, she visited the new Shorebase Trust, met the trustees, and spoke to some of the user groups, including disabled users. 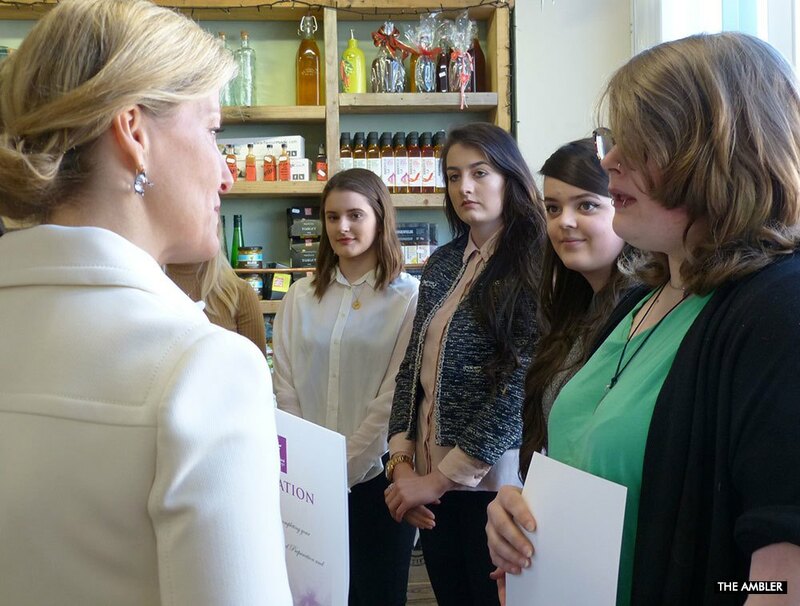 The Countess called into the Pride of Northumbria shop on Queen Street. 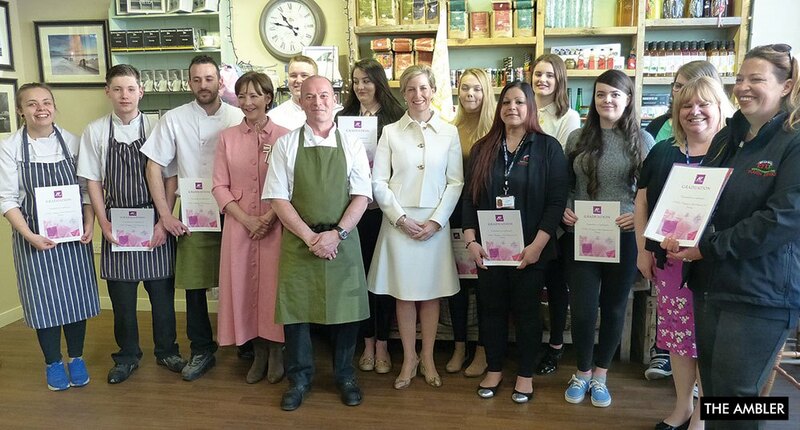 She met students from the Culinary Institute of Northumbria and presented them with certificates. 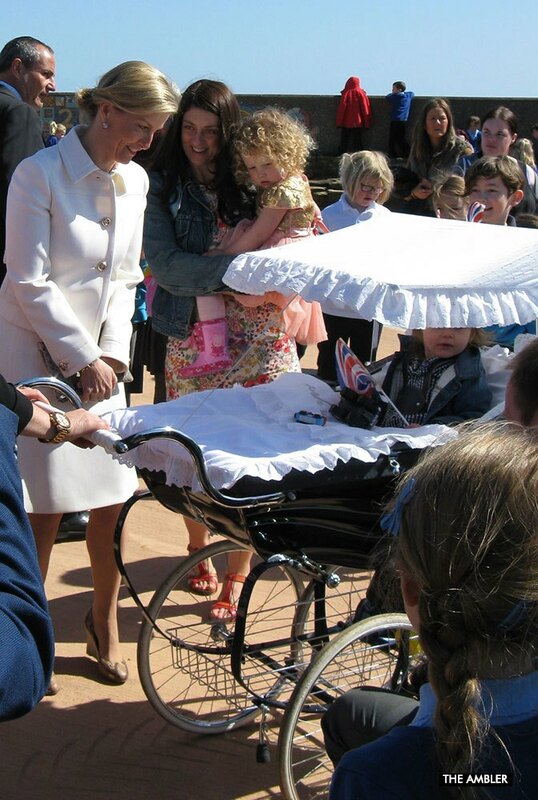 She and the Duchess had a cup of tea and a piece of homemade cake. 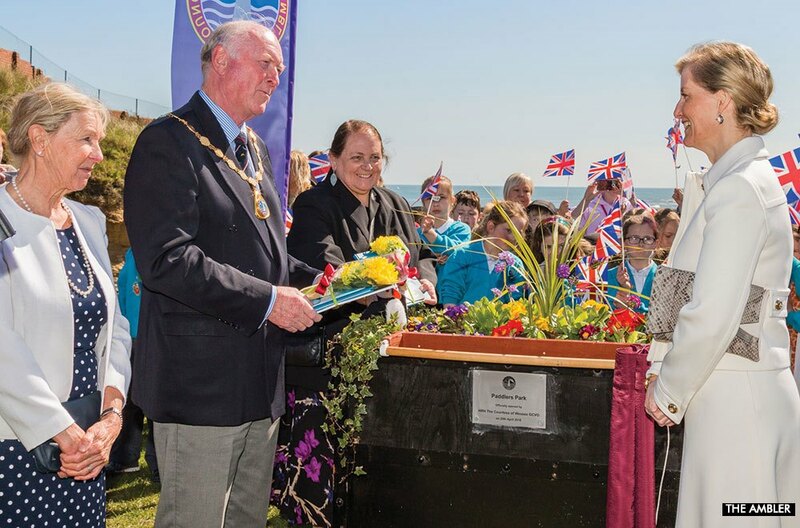 Ann Burke, Chairman of Amble Business Club, told her about the Great British High Street win, to which the countess replied , “That must bring the community together”. 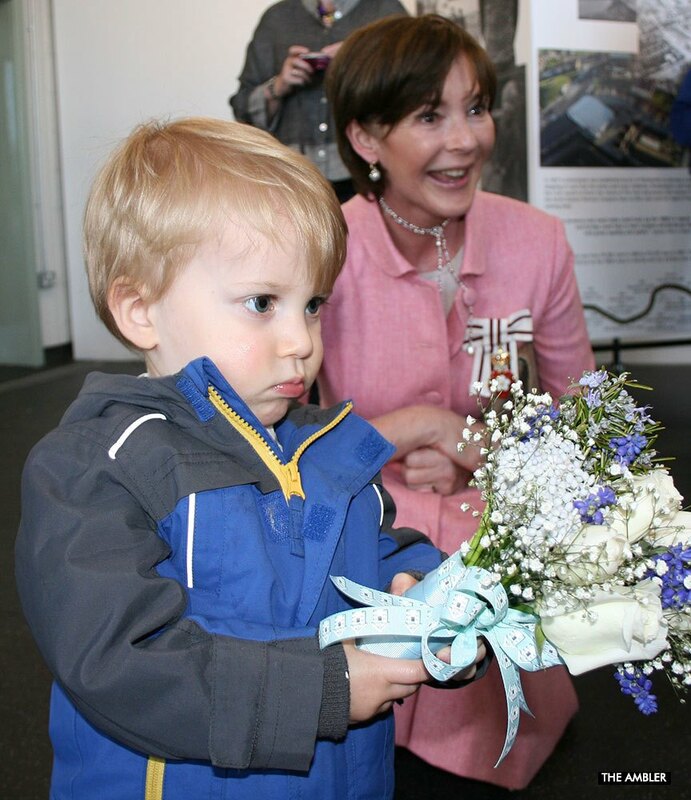 The Royal Party walked though the Town Square where they met Brambles’ children and members of the Rotary Club. 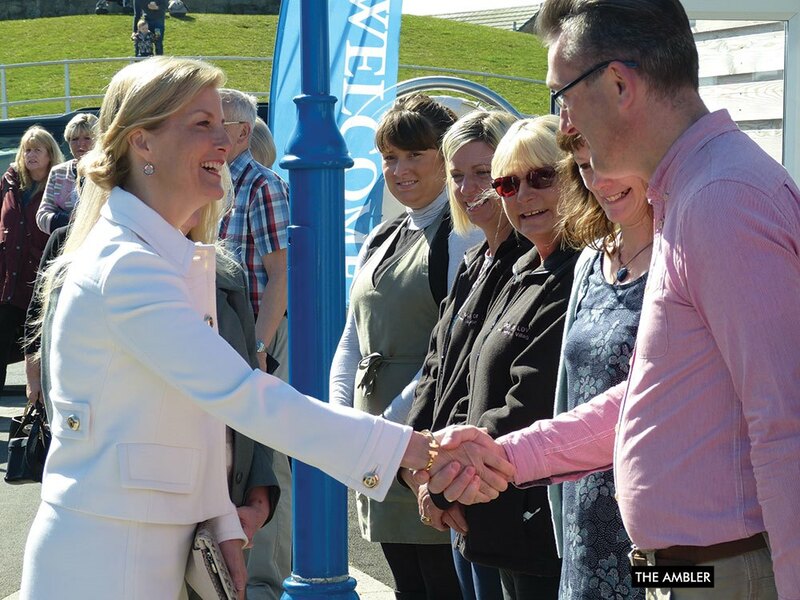 At the Harbour Village, the Countess spoke to some of the pod owners, lifeboat crew, trustees of the Development Trust, the Harbour Village co-ordinators, and the ‘Harbour Gadgees’. 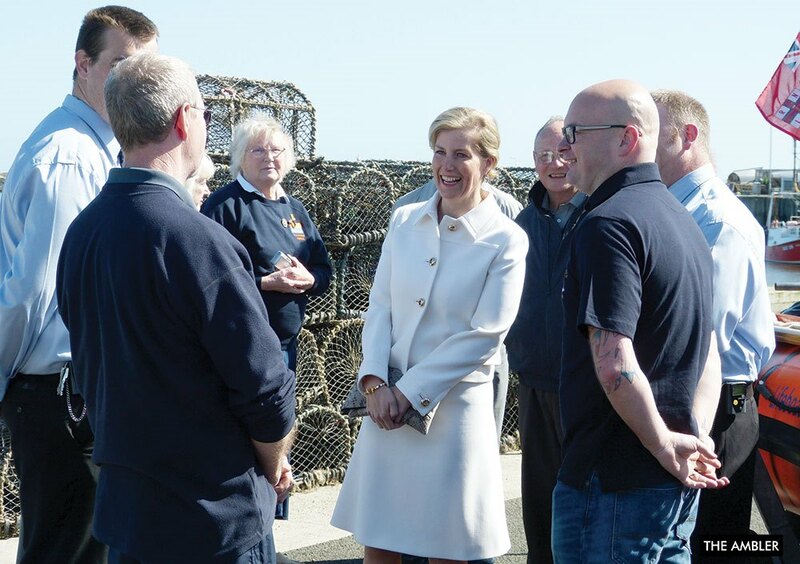 She asked the lifeboat crew about their day jobs and discussed football with them (apparently she’s a Sunderland fan). 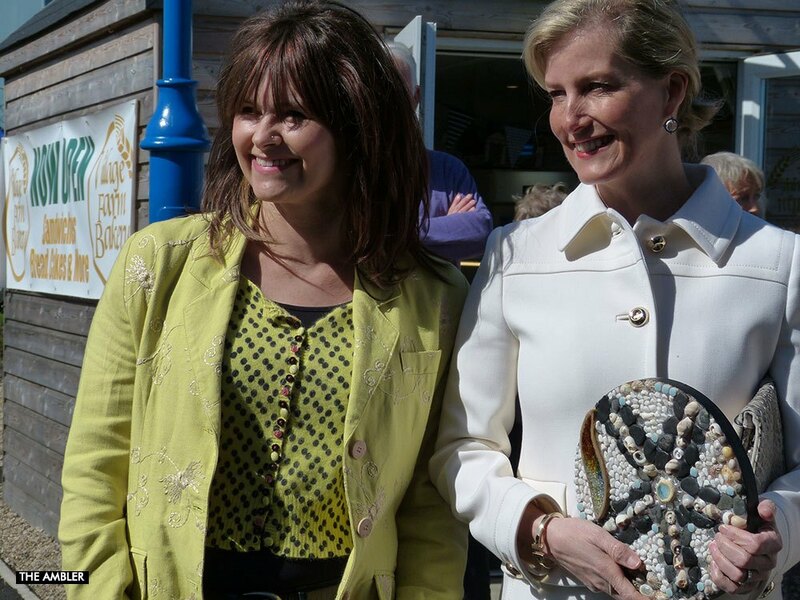 Artist Julie Smith presented her with a sea-themed mosaic and 2 year-old Phoebe Aston gave her a posy, while 22 month-old Jamie Wood gave another posy to the Duchess. Chairman of the Development Trust Terry Broughton gave a short speech of thanks. 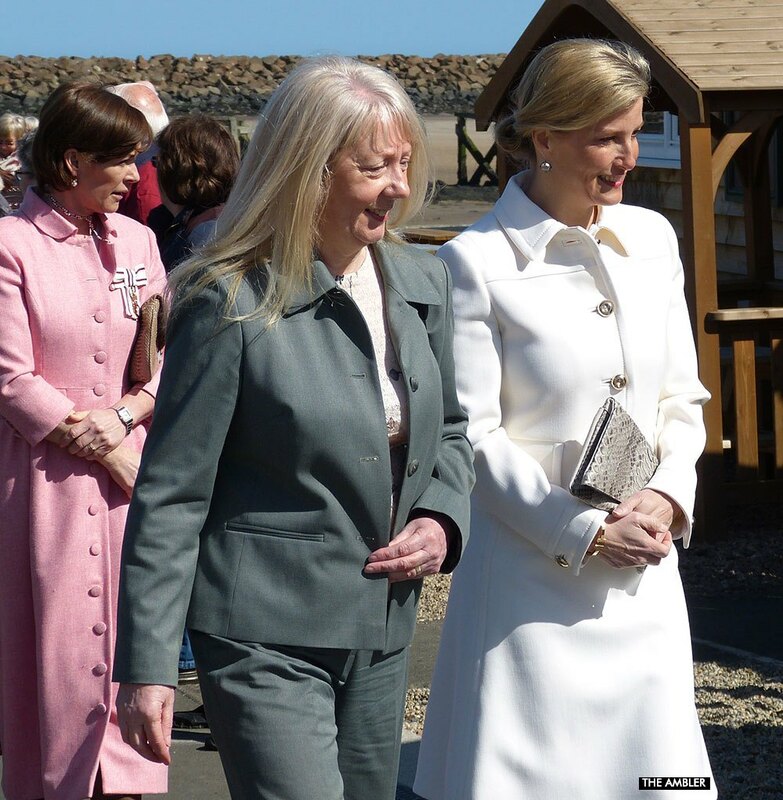 Development Trust Director, Julia Aston accompanied the Countess around the town centre. “It was a wonderful day”, said Julia. 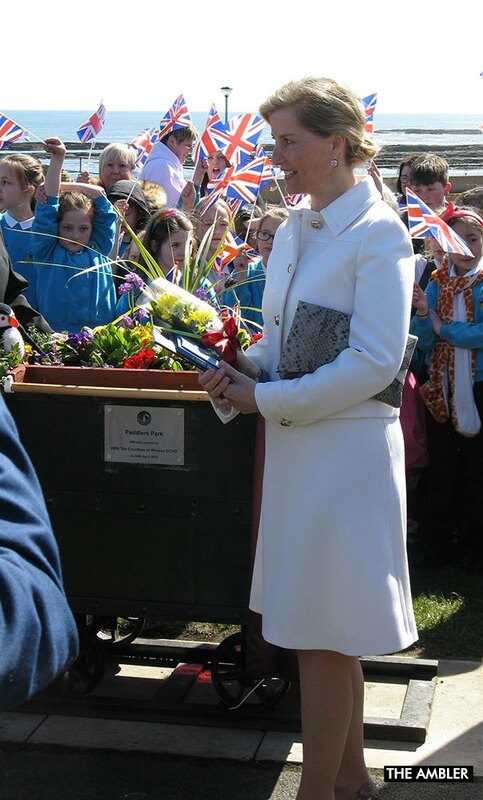 “The sun shone as did the Countess. 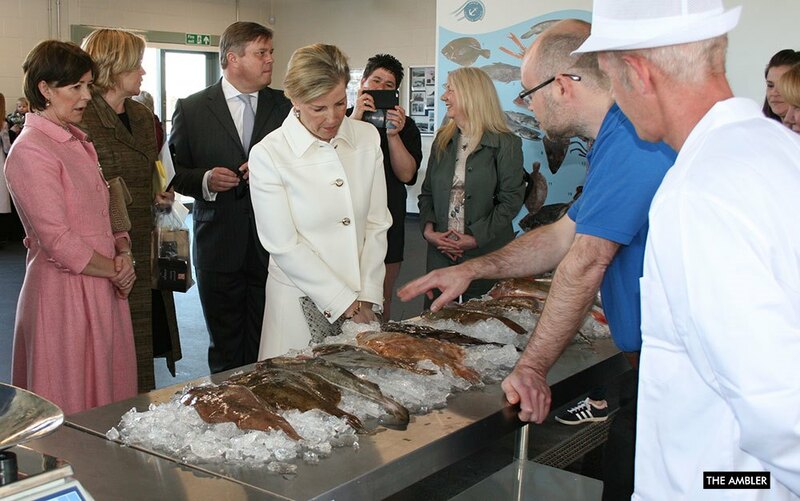 She was very relaxed and interested in all the businesses, trainees and the High Street award. 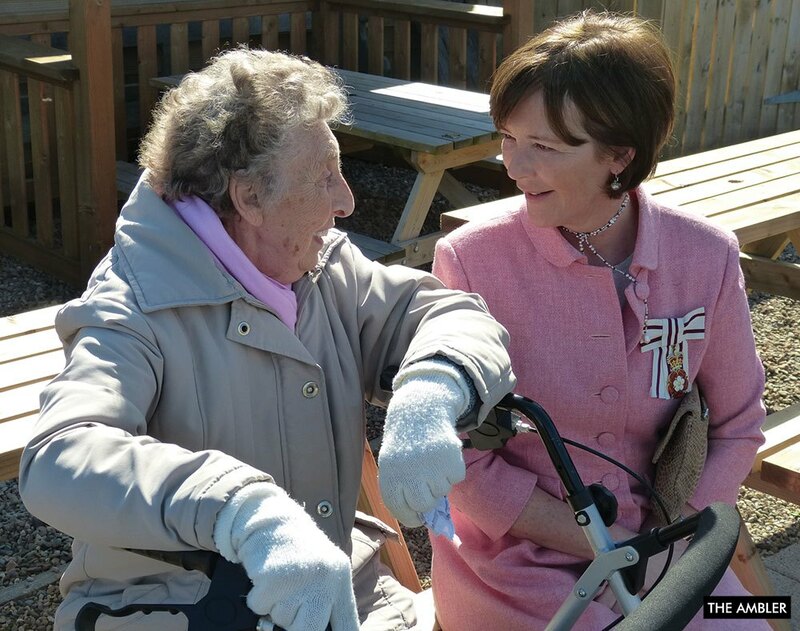 She looked at the old photos of Amble and commented on the differences between then and now”. 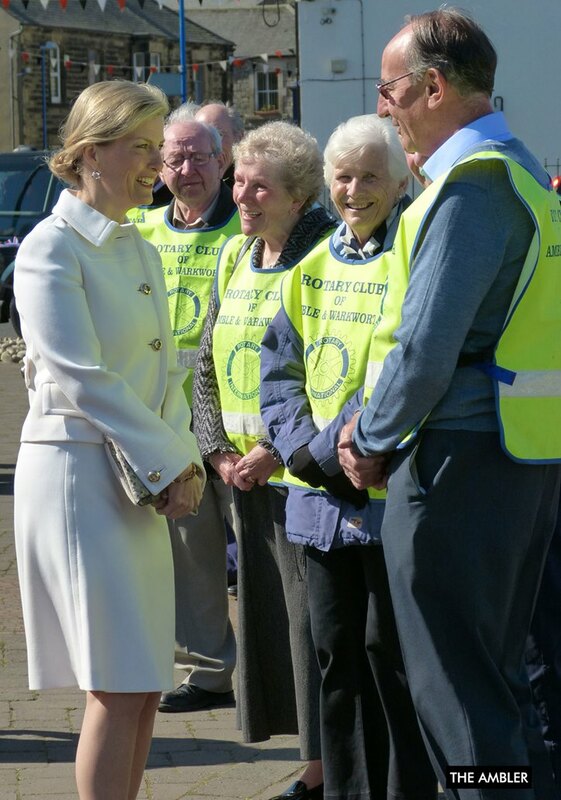 The pod holders were “quite excited” about meeting the Countess and said they found her “charming”. 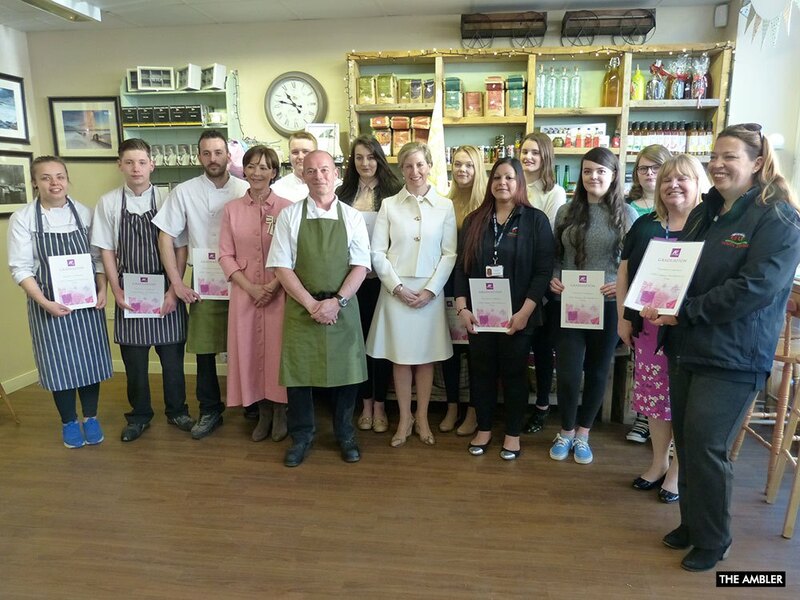 Laura Stubbs of Coquet Cosmetics had a chat with her: “She was very interested in the sources of my products and I told her that most of my sources are local”. Katie Henery and Libby Watkins, who produce their own work for Harbourside Studio said she was “Really interested” in their work. 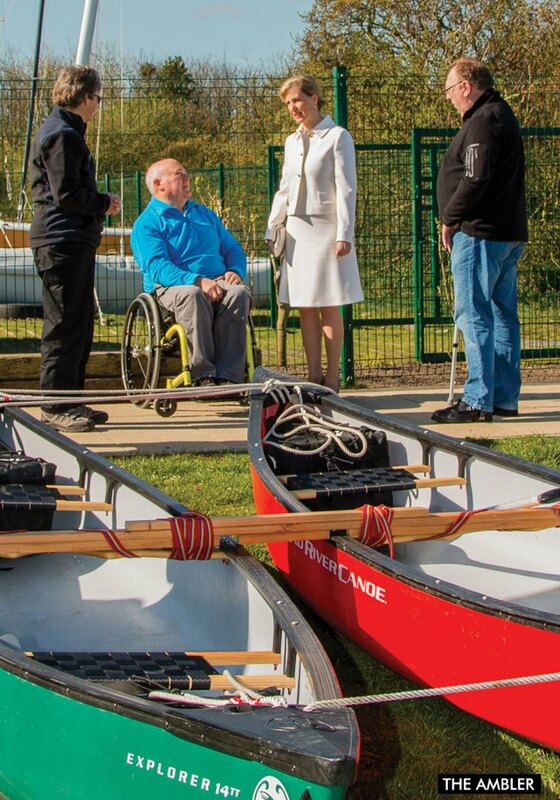 From the Harbour Village the countess was taken to the Paddlers Park. Waiting there were pupils from both First Schools, the designers and contractors, town councillors and county councillors. 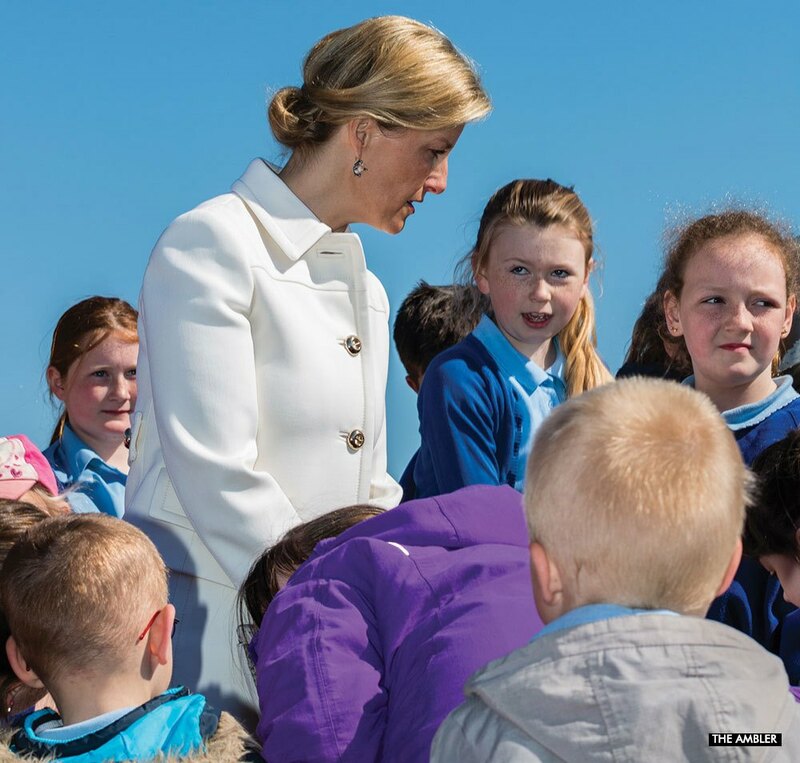 The Countess met members of the public and some of the school children. Emma Evans the county council’s Green Spaces and Play officer guided her around.